When one thinks of sacred music in Naples, Pergolesi and his 'Stabat Mater' immediately come to mind, but as is often the case, such a masterpiece is actually the result of a long and glorious tradition. Gaetano Veneziano, student and assistant of Francesco Provenzale, was one of those grand maestri who wrote Neapolitan church music but whose name has since passed from our collective memory. He succeeded Alessandro Scarlatti in 1704 as director of the prestigious orchestra of the Royal Chapel and his works represent an essential link between 17th and 18th century music. 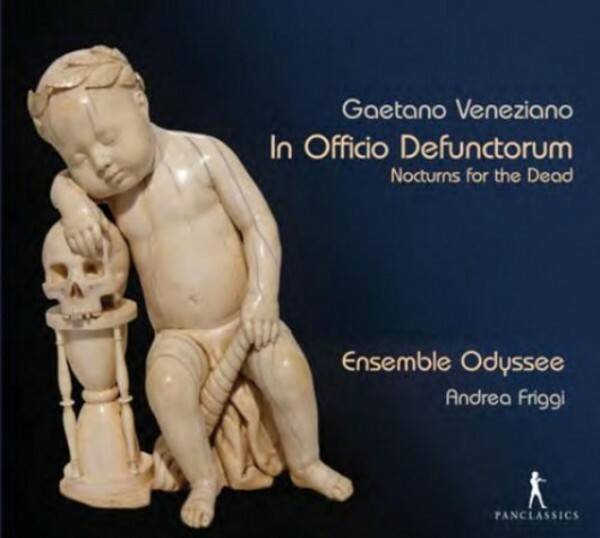 'In Officio Defunctorum' focuses on a particularly expressive Christian liturgy: the nocturne for the dead. Based on the biblical text of the Book of Job, these nocturnes represent the chiaroscuro between despair and joy of life, the eternal contrast that we find in all Neapolitan scores of the time. A Sinfonia by Alessandro Scarlatti completes a programme in which Ensemble Odyssee showcases a perfect musical match between dramatic text and musical texture.